A month from now, on August 21, 2017, North America will play host to a total solar eclipse, for the first time in many years. My personal experience with total solar eclipses is limited and to say I am intimidated would be an understatement. This August, I will be positioned in a scenically beautiful place through which the total eclipse will pass. The eclipse is a complex topic.This first of a series of articles covers preparations. Upcoming ones tackle topics from deciding on a location, eye protection, and photographic specifics. Throughout this series of articles, I will chart my preparations for this epic event and share what I learn along the way. What is unique about this eclipse, is that it will traverse the entire continental US, beginning in Oregon and ending in South Carolina. A total solar eclipse occurs when the moon completely covers the sun’s disk, leaving only the gleaming corona visible. For a few minutes, day will become twilight. To see this phenomenon, one needs to be directly under the shadow cast by the moon, the umbra. This band of totality is only 70 miles wide. Viewers outside the path of totality, in the moon’s penumbra, will see a partial solar eclipse, in which the moon appears to take a partial bite out of the sun. The sun is so bright, that the difference between a total and a partial solar eclipse is literally the difference between night and day. Even the tiniest fraction of the sun’s disk being visible renders it dangerous to view directly without eye protection, a topic I will more thoroughly address in an upcoming post. I have seen one total solar eclipse, in the Caribbean in 1998. That brief experience, albeit imperfect, left me with a deep appreciation for the mystical quality of an eclipse. I perfectly understood afterwards the lure motivating eclipse chasers to travel the globe in pursuit of this transient phenomenon. That experience also reinforced for me the need to adequately prepare for this trip. First rule: Be in the right place at the right time. The old rule of real estate: “location, location, location” applies totally to eclipses! On the prior occasion, I was traveling with diving friends during the week of the total eclipse. They suggested we go to Bonaire, one of the ABC islands in the southern Caribbean. My first mistake was not to verify their information on the path of totality. Long after booking the flights and hotel, it emerged that Bonaire might receive only nine seconds of totality from its northernmost point. By the time we learned this, it was too late to shift our plans to the adjacent island of Curacao, which was more firmly in the path of totality. So, we ended up chartering a boat and viewing the eclipse from the open ocean. It was an experience I will never forget, for a variety of reasons, including that it was a terrible vomitorium. It ended up being a good decision to not stay on the island for the eclipse, as it turned out that Bonaire did not even receive that nine seconds of totality. At the same time, I do not recommend a pitching boat as the ideal platform from which to photograph an eclipse. Our results were completely laughable! So, back to eclipse rule number one: Be in the path of totality. This brings me to where I will be positioned on August 21, 2017. As you may have guessed by this post’s feature photograph, I will be in Grand Teton National Park, Wyoming. It is certainly one of the great beauty spots of North America and also among the most scenic possibilities for viewing this year’s eclipse. Friends hearing our plans inevitably react: “You must’ve started early!” Well… yes, and no. In early February, I realized this would be an unusual opportunity. Although eclipses traverse the earth regularly (every 18 months), they are frequently not as readily viewable, as the eclipse often crosses oceans or difficult to reach landmasses. Starting six months in advance may seem like a lot of lead time, but not for an event of this magnitude! Since I would be traveling with my husband, Steve Eilenberg, and another couple, I looked first into joining an organized photography trip, figuring that would ensure we would be in the right place at the right time and there would be someone else to do the research and legwork for us. Good idea, executed way too late. Joseph Van Os Photo Safaris, with whom we have traveled previously, had two trips going, but both were completely booked, with equally long waiting lists. Their trips were also relatively pricey, even if we cleared the waiting list, which seemed unlikely. I figured I could put my own equivalent trip together for less, assuming I could find housing. I initially investigated a Vacation Rental By Owner house rental, but quickly discovered that homeowners in the region were capitalizing on the event already. Many good bookings were already taken. The prices for the remaining ones were very high. However, never assume and never overlook the obvious… To my pleasant surprise, there were still rooms at properties in and near the National Parks. We knew this from a prior trip. While not inexpensive, they were well priced compared to the VRBOs. This was not a time to dilly dally or quibble. 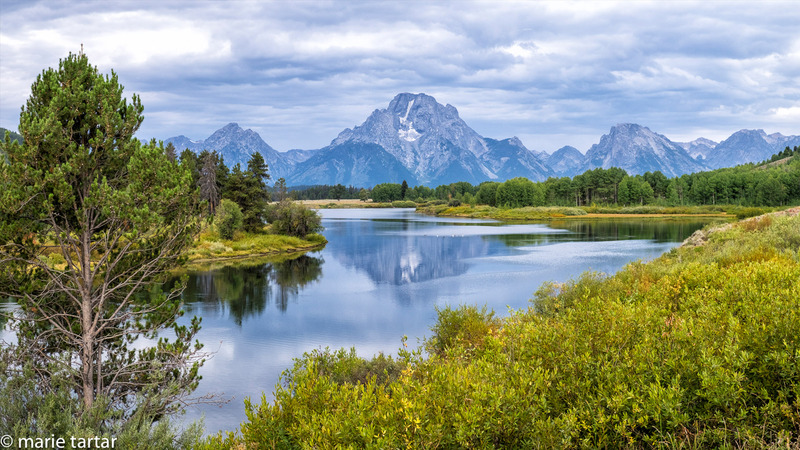 Having decided to spend the entire preceding week in the Grand Teton and Yellowstone areas, I quickly secured the first five nights at the Jackson Lake Lodge in Grand Teton, followed by three nights at Lake Yellowstone Hotel and one night at Old Faithful Inn. Our final night, at the Old Faithful Inn in Yellowstone, would be the night prior to the eclipse. This would require us to get up very early on the morning of the eclipse, to drive from Yellowstone to Grand Teton, which by February was completely booked up for the weekend preceding the eclipse. Sacrifices sometimes are necessary in the interests of photography and this one we would willingly undertake! Once we had housing secured, there were flights and cars to reserve. My next task was securing local expertise. I found Daryl Hunter through the Internet. He is a professional landscape and wildlife photographer that lives in the area. I have learned more than once, there is no substitute for local knowledge. Of course, even being in the path of totality is not a guarantee of successful eclipse viewing and photography. The element of luck applies here, as we will also need clear skies. For once, this landscape photographer is hoping that there won’t be clouds. If this post has galvanized your interest in positioning yourself to see and possibly shoot the eclipse, your first task is to figure out where to be and when. Here’s where Steve and I will be on August 21st. NASA’s Interactive map generated the path and time course of the eclipse. I dropped the location pin. Notice the times are listed in military (24 hour) fashion and at GMT (Greenwich Mean Time.) Midnight to noon is 00:00 hours to 12:00 hours. 1:00 pm to Midnight is written as 13:00hours to 24:00 hours. To convert afternoon/evening times to standard 12 hour clock time, just subtract 12 from the number. 17:36 hours (the time where we will be on August 21st) (minus 12 hours) is 5:36 pm GMT (Greenwich Mean Time.) You have to know the conversion from GMT to your time zone. Wyoming is on daylight savings time in August. The conversion from GMT to MDT (Mountain Daylight Savings Time) is GMT -7. Subtract seven hours from the AM/PM time (5:36 pm GMT – 7hours = 11:36 am MDT. If you don’t want to do the math a list of U.S. maps and adjusted times are here on NASA’s website. The maps are for the path of the eclipse. With these basics in place, my next tasks are to turn my attention to other facets of preparation for this trip. That means warm enough clothing for weather that can be highly variable, adequate eye protection for the partial solar eclipse phase of the event and general photographic preparation, namely making sure my equipment is organized, that I have the right mix of lenses for whatever I may want to shoot and that all is in good working order. The time listed on you map is actually Universal Time. According to eclipse.org you need to subtract 6 hours for the Mountain Time Zone. Yes indeed. I left out the GMT (Universal Time) conversion when I added this to Marie’s post. A link for conversions is now included as well as one that shows maps of the areas of the U.S. where the eclipse will pass. Those have local times. Your eclipse times are (way) off. The times you mention are in UT. For Jackson (MDT), you need to subtract 6 hours. So totality in Jackson will be at 11:36AM local time, NOT 5:36PM. You are absolutely correct. An update has been added. Thank you!